American College follows the semester system of higher education. The academic year consists of two semesters, the Fall Semester (approximately starting in the beginning of October and finishing in the end of January) and the Spring Semester (approximately starting in the beginning of February and finishing in the beginning of June). A shorter but more intensive Summer Session is also offered in the middle of June and finishing in the end of July. Finally, a Summer English language Session is also offered in the middle of June and finishing in the end of August. New students can join the College in the Fall (beginning of October) or Spring semester (beginning of February) or Summer session (middle of June) to study regular courses or English language preparatory courses. Enrolment in courses during Summer sessions is optional for old students. Students are expected to be on campus prior to the beginning of the intended semester/session. Each semester or session commences with the students enrolment in a number of courses and ends with the final examinations of these courses. 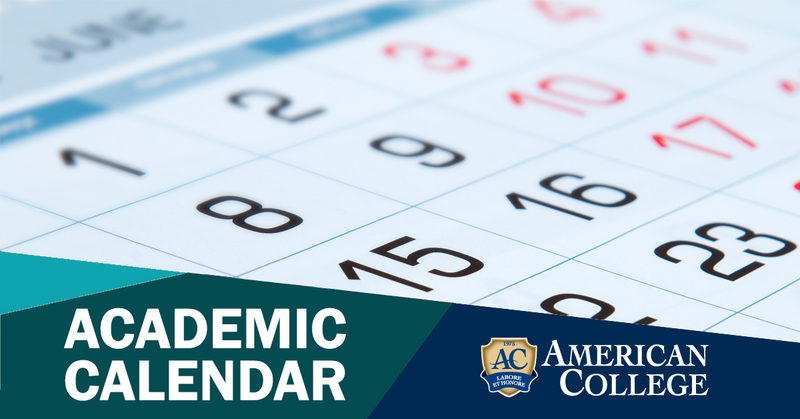 The academic calendar provides information on important dates in an academic year, such as when semesters begin and end, enrolment periods, examination weeks and holidays.